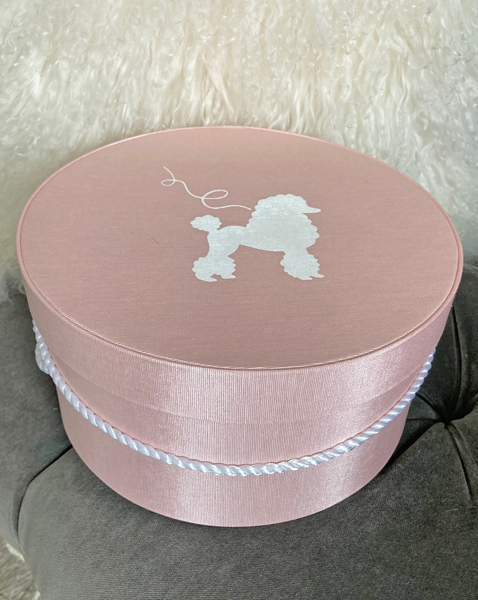 Wrap your Gift in Classic Parisienne Style! 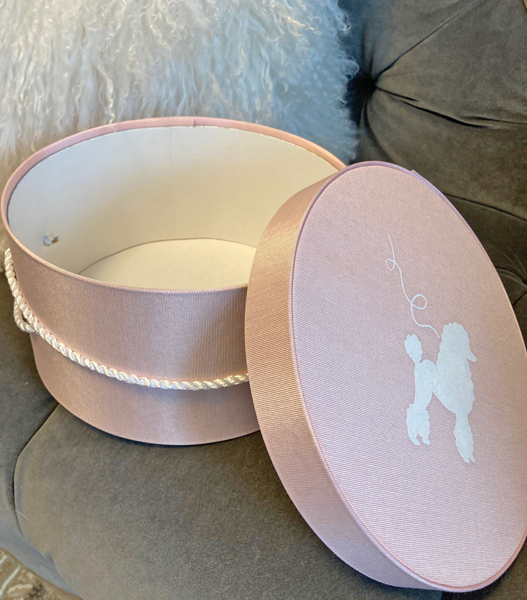 Elegant pink and black fabric covered hat box with delightful Ooh la la! 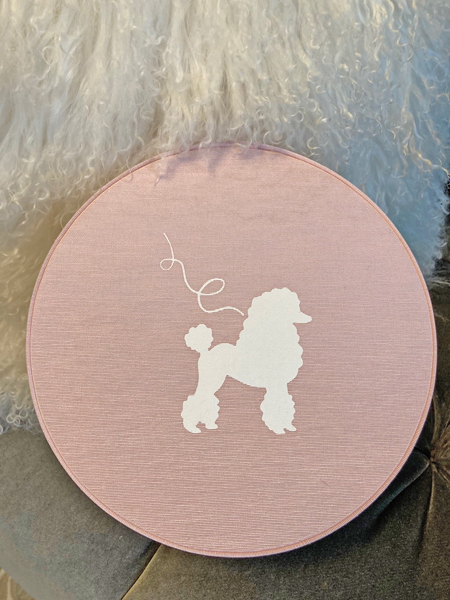 printed lid ~ So pretty it can be the gift! measures 12" round x 6" tall. Other items in photo not included.